You want people to recognize you, like you, and trust you, so they buy from you. You may have already branded yourself with this in mind but perhaps you're not getting the desired results. Many people think that branding is about cool logos, fancy websites and social media popularity. But this line of thought causes potential successes to fail. So what does work? 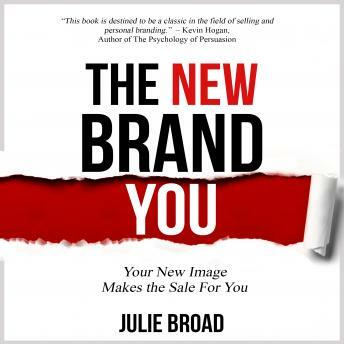 In The New Brand You, Julie Broad, MBA, bestselling author, popular speaker, and award winning entrepreneur, shares the secrets of creating a trusted brand. You'll learn what is critical in reinventing your personal brand, and why you may never have to tweet, pin or post to do it. Did you know that '¦? 'Your brand is first of all about the feelings, thoughts and experiences of your customers and clients. 'There are at least 42 common communication mistakes that dilute your message, and only two things you have to do to have a brand with big impact. The New Brand You is your detailed guidebook to successfully recreating your brand and attracting your ideal clients.